It's been a long year, and I've been fortunate enough to have checked off a number of new stadia in that time. 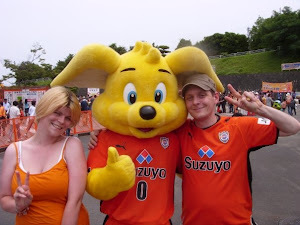 So what better than to update last year's Watching Football in Japan for next season? What better indeed. I've been working hard on improving the book and am happy to report it will be substantially enhanced on last year's début edition. 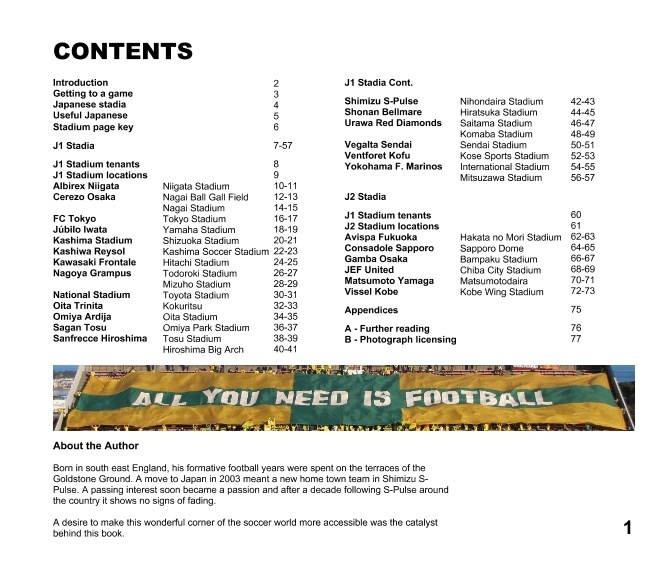 20% more pages, including crucial information on getting to a game over here, and even more stadia than before. 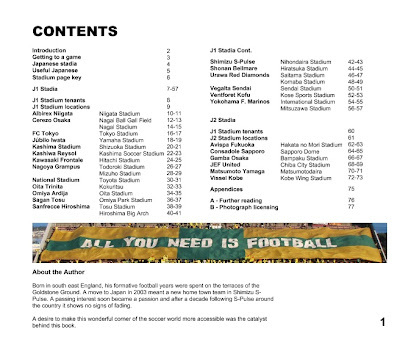 25% more pictures means around 200 to enjoy this time, plus a new J2 section introducing some of the must-visit stadia of the second tier. A reordering of information makes the book easier to use, and it all adds up to a better publication. Here follows a couple of sneak preview pictures. Design is subject to change, but the book should be ready for purchase early next year. New contents page. Loads more stuff! Word got around today (no surprise, I'm sure you'll agree) that Taka will not be offered a new contract at the end of this year. He's a popular figure and certainly shifted a few shirts, but for the wages he's on, the return we've got hasn't been wonderful, especially these last twelve months. To be fair, he had a good year last season, and went a long way to making up for past discrepancies in sky blue. Seems like a nice fella, so all the best of luck to him wherever he may go. 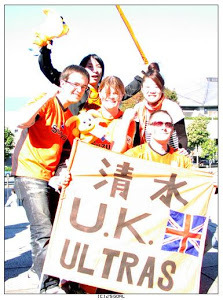 He had some memorable moments, including that last minute winner at home to Niigata (サイコー！！), and the ball he dinked off to Takagi to smash home two men down against FC Tokyo. Rumour has it he duped former team mate Ota into laying it back to him with a sly shout for the ball. 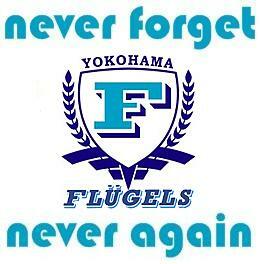 Maybe his most memorable goal came in Saitama last year where he'd spent several hellish months with Urawa. Skip forward to 0:34. News broke yesterday of Genki Omae working out personal terms with Bundesliga team Fortuna Düsseldorf. It will of course be a shame to lose him, but we wish him the very best of luck. Hard to believe he's still only 22 as he's been around for a while with us. Good luck Genki! We'll miss you! !